PPMD, formerly known as Dr. PeePee, is a top professional and currently semi-active Melee player who mains Marth and Falco. He changed his tag in mid-2014, when he became sponsored by eSports organization Evil Geniuses. Before his hiatus, he was considered to be one of the top six players in the world, along with Armada, Mango, Hungrybox, Leffen, and Mew2King, and was one of the Five Gods of Melee. He notably won Apex 2015, one of the largest Melee tournaments at the time, using mostly Marth. PPMD was formerly ranked 6th on the 2015 SSBMRank and at the 0 position on the North Carolina Melee Power Rankings. PPMD was also a talented Brawl player, mainly playing Marth. He was formerly ranked 7th on the North Carolina Brawl Rankings. In March 2016, after Battle of the Five Gods, PPMD announced a hiatus from competitive play due to health issues, and has not entered a singles tournament then, although he did enter doubles at Bad Moon Rising 2. In April of 2019, PPMD announced that he would resume streaming Melee on Twitch, although he is not yet ready to enter tournaments again. PPMD started playing competitively in 2007 as a Mario main before his transition to Falco and Marth. He became well-known in the Smash scene for his performance at Revival of Melee 2 in 2009, where his Falco placed higher than Mango's. He won his first national at Revival of Melee 3, and later won Pound V as well, winning two sets against Armada in grand finals. Early in his career he frequently teamed with Everlasting Yayhuzz and LoZR in the teams known as "Catfish." At Apex 2012, he defeated several notable smashers like Silent Wolf, SFAT, and Wobbles, before losing to Armada and then being eliminated by JAVI 0-2 in losers' quarters, placing 5th overall. He on top placed 1st at Zenith 2012, winning two sets against Mew2King in grand finals, 2nd at the European tournament Smashers' Reunion: Melee Grande, taking a set off of Armada in grand finals before losing an extremely close second set 3-4, and 1st at Kings of Cali, defeating Mango in two sets of grand finals. Around this time, due to growing troubles against Mew2King on Final Destination, PPMD began developing his Marth. While at Zenith 2012 Mew2King managed to defeat him in Marth dittos, PPMD 3-0ed Mew2King in a Marth ditto set several months later, and has since maintained a overwhelmingly positive record against him in that matchup. PPMD first competed at Apex 2013. There, PPMD made through Round 1 to 4 winners while defeating MT, Trail, Tope, and Colbol in a 2-1 fashioned. In Round 5 and 6, PPMD took down Hax 2-0 and Mew2King 3-1 before losing to Armada 3-0 in Winners Finals. In Losers finals, PPMD defeated Mew2King in a close 3-2 and made a rematch against Armada. While PPMD managed to make a reset against Armada in Grand Finals, PPMD lost in a 3-1 finish, pinning him at 2nd Place. After his 2nd place at APEX 2013, PPMD competed at Zenith 2013 where he swept through the winners bracket while defeating DJ Nintendo and DaShizWiz before losing to Hungrybox. PPMD later placed 4th at Zenith 2013. EVO 2013 represent a milestone to the competitive Smash community as it marks one of the critical factors for rising competitive Melee into the Platinum era. At EVO 2013, PPMD swept through pools and notably defeated Armada in a 2-0 victory at Winners Round 3. PPMD defeated Hax 2-1 but lost to Wobbles 2-0, advancing him to Losers Semis where he lost to Mango 2-0, securing 5th place. At Big House 3, PPMD made it through Round 4 Winners until was stopped by Mew2King. Into losers, PPMD managed to defeat Nintendude and SFAT but lost to Hungrybox, securing 3rd place. Starting with Tipped Off 9 in late 2013, PPMD had a dominant period where he managed to win every tournament he entered for half a year; simultaneously, PPMD is known for rarely going to tournaments (outside of small NC locals) - in 2014, he only traveled to the most significant tournaments, such as Apex 2014, MLG Anaheim 2014, and EVO 2014. One of PPMD's most significant achievements throughout his Smash career was his fantastic performance at Apex 2014. Without dropping a set, PPMD swept through winners while defeating Kage, HugS, and aMSa in a 2-0 fashion to make into top 8. In top 8, PPMD defeated Mango 3-1 in winners' semis and Mew2King 3-0 and 3-1 in winners' finals and Grand Finals respectively (including two 4-stocks against Mew2King, with one being a Marth ditto on Final Destination during the second game of winners' finals). 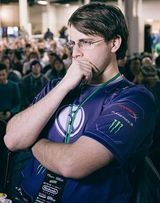 His 1st place finish at APEX 2014 brought great fame in his Smash career; PPMD was interviewed by ScrewAttack, was picked up by professional eSports organization Evil Geniuses on May 9th, 2014 (Around the time of his sponsorship, he amended his tag from Dr. PeePee to PPMD), and was once placed 1st at Melee On Me Summer 2014 Rankings. PPMD later won SKTAR 3, defeating Armada 2-1 in winners' semis, Mango 3-1 in winners' finals, and Mew2King 3-1 once again in grand finals (with another 4-stock in the final game). Because of winning SKTAR 3, PPMD successfully qualified for the championship bracket at MLG Anaheim 2014. However, after SKTAR 3, PPMD wasn't able to keep his dominance as he couldn't win any single major until Apex 2015. At MLG Anaheim 2014, PPMD only lost one set in his pool, to Leffen 2-3. He was seeded in winners' semis in the championship bracket, where he lost to Mango 2-3. He then eliminated Leffen 3-1 in losers' quarters, but was eliminated by Mew2King 2-3 in losers' semis, placing 4th overall. Three weeks later, at EVO 2014, PPMD made it to the finals of the winners' quarters pool against Hungrybox, but lost 1-2. He defeated PewPewU 2-0 in losers' bracket to make it into the top 8, where he eliminated Fly Amanita 2-1 and Mew2King 2-0 before being eliminated by Armada 0-2, placing 4th overall. PPMD was also invited to participate in the E3 2014-held Super Smash Bros. Invitational tournament to play Super Smash Bros. for Wii U. He used Fox in the tournament, and won the Fan-Favorite Tournament after being eliminated in the quarterfinals. Later on, PPMD announced his reason of his inactive appearance in 2014, revealing that this mainly due to personal issues, specifically depression. Until Apex 2015, PPMD hadn't return to the competitive scene in over 5 months. PPMD winning Apex 2015 after sucessfully defeating Armada. PPMD's most famous performance throughout his Smash career was his 1st place finish at Apex 2015. Despite his long breaks since EVO 2014 due to personal issues, PPMD managed to deliver himself up to attend Apex 2015. Nevertheless, many professionals and viewers were overwhelmingly surprised to see PPMD's fantastic dominance throughout this tournament, despite his long hiatus. Into the winners bracket, PPMD managed to take down many notable players such as Wizzrobe 2-0, S2J 2-1, PewPewU 2-1, and Armada 3-2. PPMD climbed into Winners as he met Leffen, who was recently claimed as a Godslayer after his victory against Mew2King, at Winners' Finals. While using predominantly Marth, PPMD managed to clutch the set against Leffen in a 3-2 victory. After PPMD's win against Leffen at Winners Finals, Armada swept through losers and indeed took down Leffen at Losers Finals in a 3-1 victory. PPMD faced off against Armada in Grand Finals where, despite Armada resetting the bracket in a 3-2 first set, PPMD ultimately took Apex 2015 with a 3-0 victory in set 2. PPMD did not attend a noteworthy event afterward until EVO 2015, although he had planned on attending I'm Not Yelling! and some other tournaments. At EVO 2015, PPMD swept through pools and made it through Winners Finals after defeating SFAT 2-1, HugS 2-1, and Plup 2-0. In Winners Finals, PPMD faced off against Armada where he was eliminated 3-0. At the end, PPMD was later eliminated by Hungrybox in a convincing 3-0 loss, securing 3rd place. 3 Months after EVO 2015, PPMD compete at Canada Cup 2015. Throughout the tournament, PPMD was able to surf through Grand Finals while defeating Ryan Ford and Duck without dropping a set. In Grand Finals, PPMD convincingly 2-0d Duck and was declared the winner of Canada Cup 2015. PPMD's final tournament at 2015 was Smash Summit. Known for its large prize pot and inviting selected professionals to compete the summit, PPMD was invited to the Smash Summit. Throughout Winners, PPMD was able to defeat Swedish Delight 3-0 and Westballz in a close 3-2 before being eliminated by Armada 3-1. Unfortunately, PPMD lost against Plup 3-2, securing 5th place. The first major tournament of 2016, GENESIS 3 marked the revival of one of the most prolific tournament series in Smash history. It was also one of PPMD's last singles tournament until his long hiatus. Throughout GENESIS 3, PPMD managed to cruise through top 32 winners while defeating Swedish Delight 3-1, Lucky 3-2, and SFAT 3-1. During top 8 winners, despite PPMD's impressive Falco performance at Game 2 and having close games against Armada, Armada managed to take down PPMD in a 3-1 victory. PPMD landed at 6th place after losing to Mango (Who was at that time, an underdog since he hasn't win any majors in 2015) in a convincing 3-0 defeat. PPMD's final and most devastating singles performance was Battle of the Five Gods. The Battle of the Five Gods references the five "Gods" attending, including PPMD. During Round Robin, PPMD managed to be seated at the Playoffs Group after defeating Ice 3-1 and PewPew U 3-0 before losing against Westballz 1-3. PPMD wasn't able to make it through the Finals Bracket as PPMD was eliminated by every particular player he competed against at Playoffs Group. PPMD lost to Silent Wolf 1-3, Plup 1-3, MacD 0-3, and Wobbles 0-3, securing 10th place. This was a devastating defeat from PPMD and this marked his worst placement ever since Pound 4, where he got 9th place. After his devastating loss at the Battle of the Five Gods, PPMD's condition worsened. PPMD did not attend EVO 2016 due to health issues involving physical fatigue and low testosterone. PPMD stated he probably wouldn't have maintained the energy to compete even if he did recover before the tournament. Since the Battle of the Five Gods, PPMD hadn't entered any singles in over 3 years. After a year of hiatus, PPMD began to improve his condition as he managed to start a more active lifestyle, providing him enough strength to enter Bad Moon Rising 2. Many viewers were surprised to see PPMD competing at Bad Moon Rising 2 in doubles and were anticipated to see his return to the scene in over a year. With his partner, LoZR, PPMD and his teammate successfully swept through Phase 1 of Pools until Top 32 where they met against Colbol and dizzkidboogie. In a hard-fought match, PPMD and LoZR were sent to losers at a 2-1 defeat but later made into top 8 losers. Many spectators began to questioned whether PPMD and LoZR could defeat Hungrybox and Crunch at Top 5 losers. In top 5 losers, PPMD and LoZR first takes a close first game against Hungrybox and Crunch after LoZR made a clutch upsmash against Hungrybox. During the second game, Hungrybox and Crunch managed to complete their first game in an another tense match. At game three, PPMD and LoZR took another game against Hungrybox and Crunch but at game four, Hungrybox and Crunch retaliate. At game five, PPMD and LoZR ended in a fantastic finish against Hungrybox and Crunch by an up throw to Fox's up-air and Falco's down-air on Hungrybox and a quick edgeguard against Crunch. After winning against Hungrybox and Crunch, PPMD and LoZR faced a rematch against Colbol and dizzkidboogie. Despite PPMD's and LoZR's efforts, they nonetheless lost in a 3-0 defeat, securing 4th place at Bad Moon Rising 2 doubles. Although PPMD's technique is very refined, he is not known for his technical prowess as much as other top players such as Westballz and PewPewU. Rather, he is renowned for his strong mental game and extremely threatening and precise dash dance spacing, both of which are part of his mildly aggressive play-style that is very conservative and methodical compared to other top players. As part of this playstyle, PPMD almost never consciously makes a sub-par decision in a match in an attempt to gain advantage or "disrespect" his opponent, even when greatly ahead in a game. This leads to PPMD having what is arguably the best neutral game play in the world, and even top players, such as Armada, have commented on how difficult it is to get an opening against him. As Falco, PPMD focuses on intelligent laser spacing and maintaining stage control with carefully spaced attacks, while punishing opponents who make mistakes with consistent shine combos and exceptional reads on the foe's movement. As Marth, PPMD utilizes his impeccable dash dance spacing, precisely spaced down tilts, and timely rising forward aerials to completely wall his opponents out, making it far more difficult to hit him compared to the vast majority of other Marth mains. This playstyle has seen him great success against floaty characters that most Falco and Marth mains have recently struggled with. He is considered the best Falco and Marth in the world against Peach, and the best Marth player in the Marth ditto and against Sheik, a character historically considered one of Marth's most difficult matchups in Melee. His prowess against floaty characters with Marth has seen him taken a best-of-5 set against Hungrybox in Project M, using exclusively Marth. While PPMD is one of the best in the world at the neutral game, he does not have as strong of a punish or edgeguarding game compared to other top players such as Mango and Mew2King. This is especially prevalent in the Marth v.s. Fox matchup, where PPMD often does not convert openings or grabs to lethal edgeguarding situations like Mew2King will. He was additionally susceptible to psychological pressure despite being a very psychological player himself, especially after he became known as one of the best in the world. PPMD was very hard on himself after a loss or making a mistake, and would grow anxious during tournaments where he was the favorite to win against other top players, which adversely affected his tournament results. However, after having issues with depression, PPMD has changed his mindset to what he describes as "acceptance," where he would respect any outcome of a tournament, even if he does not win or place as well as projected. This has overall stabilized his tournament placings and he is no longer as susceptible to sporadic tournament placements while actively participating in tournaments. PPMD's signature chant is "Stack it up!" This phrase arose from a form of local dialect that slowly evolved into a phrase associated with PPMD. PPMD is Twitch's older brother. PPMD's gamertag is often used together with the "Kreygasm" Twitch emote in Melee streams; this originated with Mango posting "PPMD Kreygasm" whenever he was seen in the chatroom due to his uncommon tournament appearances, starting in the later half of 2014 and eventually carrying over to the first half of 2015. PPMD only attended Apex and EVO in the span of seven months. PPMD's presence tends to elicit this meme, whether playing on stream, interacting with the chat (during which he will often analyze the matches at hand), or streaming on his own channel. One of PPMD's Twitch subscription emotes is of his own face emulating the "Kreygasm" emote. After PPMD's first post-EVO 2015 stream, he organized a Twitch raid on the Games Done Quick channel during their 2015 Summer event, which resulted in a massive "PPMD Kreygasm" spam in its chat that lasted for over thirty minutes until the channel's moderators censored the word "PPMD". Games Done Quick's staff made a remark about that particular event on their Twitter account. They eventually turned off the censor, and PPMD's name would still occasionally pop up in the chat, since PPMD hosted the stream on his channel from the time of the raid until the event ended. In an interview, PPMD explains that his lack of energy caused by his depression is his main reason for continuing to develop his Marth for tournaments in recent years. He feels that Marth better suits his playstyle when he has "low energy," while Falco matches his style when he has "high energy," mostly due to the different technical precision required to play those characters. PPMD is well known for keeping his composure during matches, although he is a much more outgoing person than his Smash sets let on, as seen when he gets excited for Twitch's victories during Bad Moon Rising. PPMD is the only God not to reach the 100,000 dollar bar, winning at least 70,000 dollars less than the other Gods. This page was last edited on April 24, 2019, at 15:50.